This all gets bunged into the mixed and it does the hard work, forming a really stiff mix. 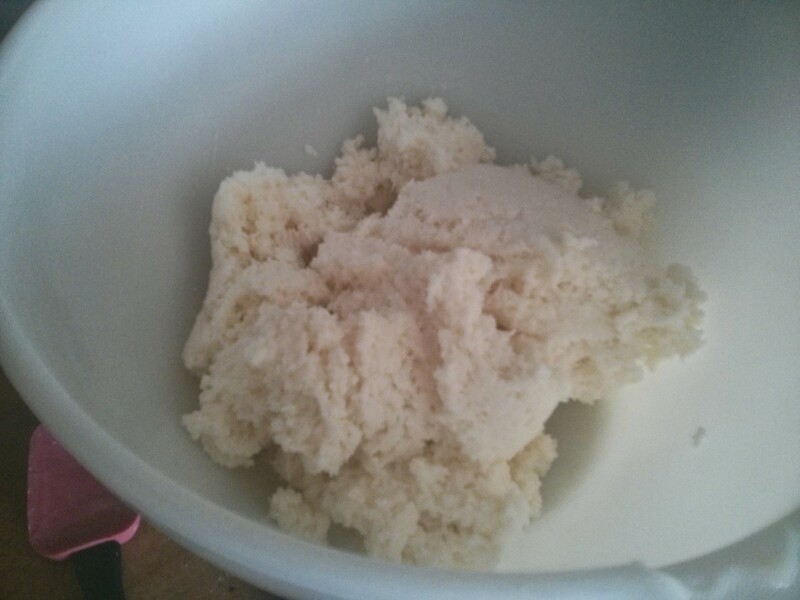 This splits into two batches of about 600g each. 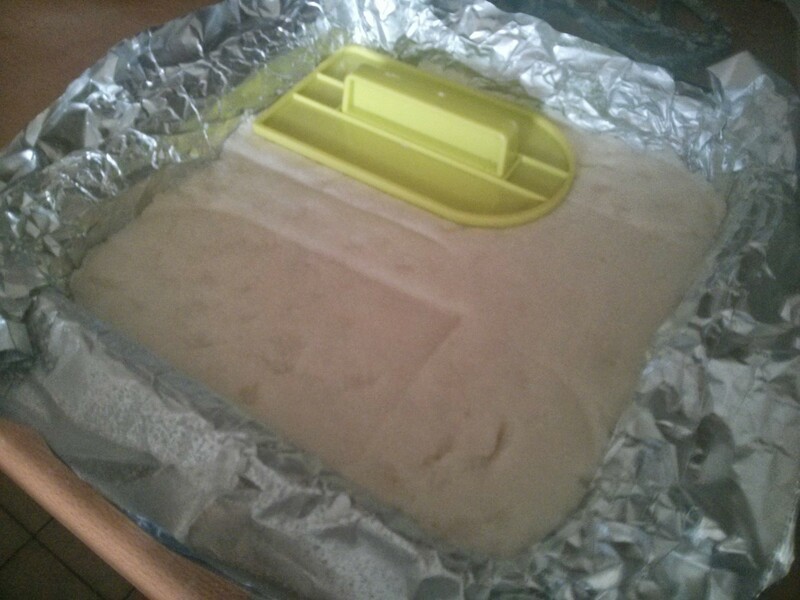 One goes into a tray lined with foil and push down into the base and corners and flattened with an icing paddle. 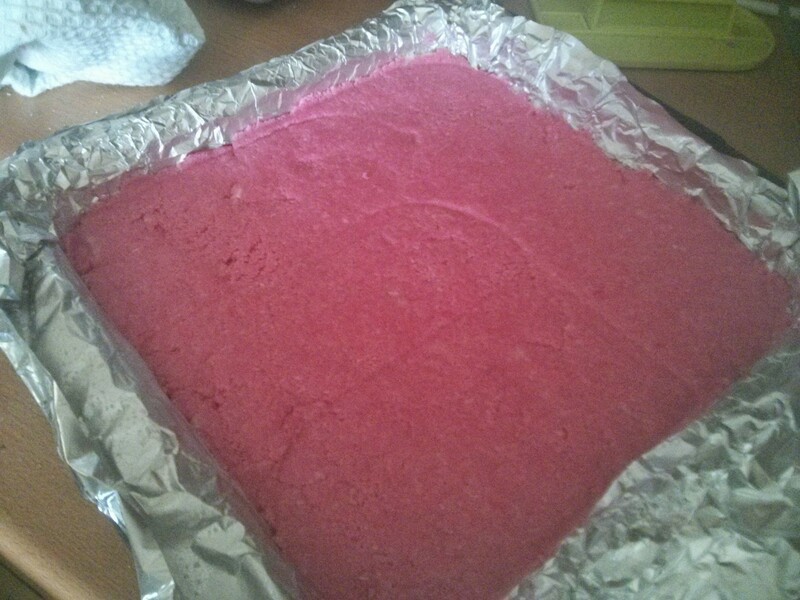 The other half gets mixed with red food colouring to make it go a nice artificial pink colour! Then that goes on top of the white layer. Finally a few sprinkles of desiccated coconut go on top and get pressed into the mix. This then sits on a table for a few hours to dry out. 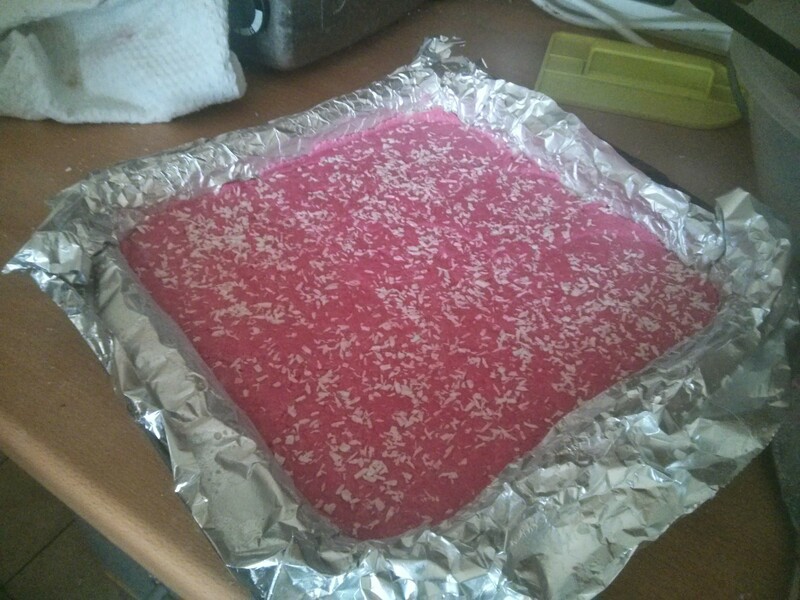 Then it goes into the fridge for a few hours to really set before getting cut into small squares. 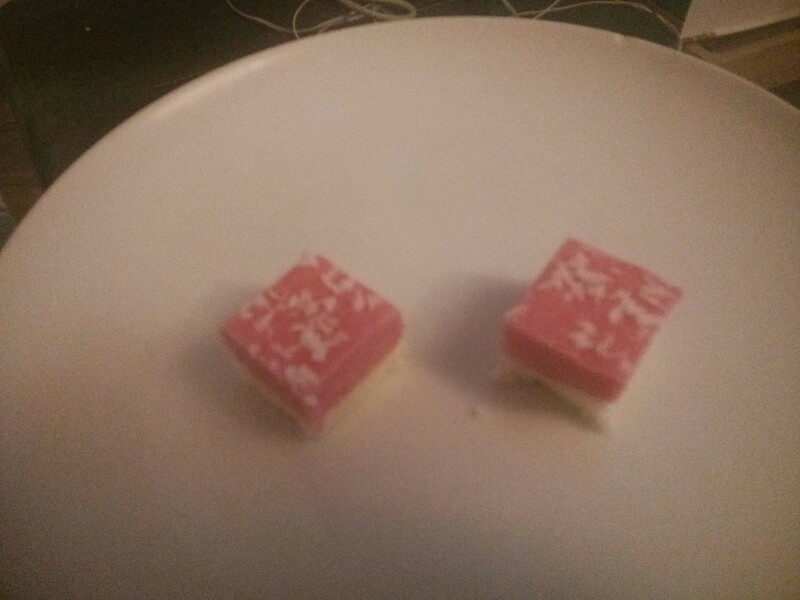 These then stay in the fridge overnight before getting taken into work. Brings back many memories of making that when a youngster.